If you want to find top market analysts, Wall Street legends and best-selling authors who regularly tweet about the markets, forget about Facebook and Instagram. Twitter is the way to go for any serious trader who wants valuable, timely and actionable information on the financial markets. 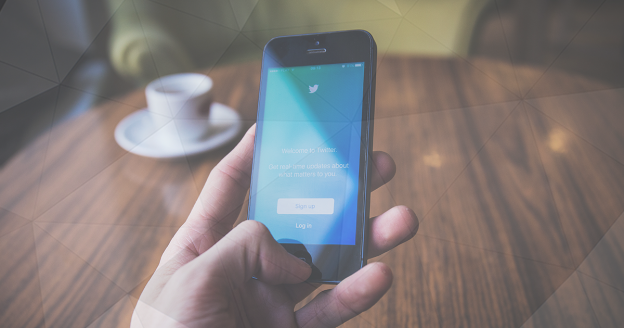 Whether you’re looking for news updates, trade setups or market education, we’ve hand-picked 15 Twitter accounts that every trader should follow. The St. Louis Fed is of the regional federal reserve banks in the United States. What differs this regional bank from others is the valuable information that the bank publishes on a regular basis. Naturally, the focus of the tweets is on the US economy, making the St. Louis Fed an interesting follow not only for traders but for analysts and economists as well. For traders that are focused on cryptocurrencies, CoinDesk provides relevant news, guides, analysis and breaking info from the crypto world. CoinDesk is a leading information provider and widely-recognized among the crypto community. Novel prize-winner Paul Krugman is an economics professor who tweets primarily about the US economy and policy decisions. He sheds an academic light on major market events often backed by relevant numbers, which allows traders to cut through the noise of other Twitter accounts. Trading oil, gas or other energy products? Then look no further than the EIA, the US Energy Information Administration. EIA’s indicators related to energy inventories and supply can send shockwaves through the markets, and they also provide market analysis and numbers which can be very helpful to oil traders. If you’re interested in technical analysis, learning resources, and market analysis, then Scott Redler’s account is the one to follow. With over 20,000 tweets, Scott provides valuable charts marked with important technical levels that any stock trader will find useful. The 45th President of the USA is well-known for being able to move the markets with a single tweet. Whether it’s about global trade deals, oil prices or import tariffs, traders and investors around the world are closely following Trump’s Twitter feed to find clues about where the market might be heading. With over 360 thousand tweets and more than 560 thousand followers, Zero Hedge tweets about popular market developments providing a different view on the topic than other mainstream media. Besides the valuable content they provide, their tweets are insightful and entertaining. Ashraf Laidi is well-known in the Twitter community as a market strategist, trader, and author of Currency Trading and Intermarket Analysis. With more than 57,000 followers, he regularly tweets about current market news and provides market analysis backed by sound research. Forex Crunch is a popular Forex trading website and this is its Twitter account. The tweets are managed by founder Yohay Elam himself and cover daily news, opinions, market outlooks, tutorials and more. Forex Crunch also posts analysis and market views of major banks, which can come very helpful to traders. Just like Forex Crunch, DailyFX is a quite popular trading website among the Forex trading community. While each market analyst at DailyFX has his own Twitter account, at @DailyFXTeam all views are aggregated in one feed which makes it easier to follow. The account offers live coverage of Forex market news and updates. Peter L Brandt is a legendary trader and author of the classic trading book Trading Commodity Futures with Classical Chart Patterns. He has been a Forex trader since 1975 and provides extremely useful chart analysis in his feed. If you’re a technical trader, following @PeterLBrandt is a must. As a chief economic advisor at Allianz and author of New York Times best-selling books, El-Erian tweets about economic issues and gives easy-to-understand explanations of complex topics that could impact financial markets. Ralph Acampora is a technical trader and teacher at the New York Institute of Finance. Whether you want to know more about harmonic price patterns, reversal patterns or continuation patterns, Acampora is the account to follow. He also tweets about trade setups and other trading topics. The only account on this list with more than a million followers, Jim Cramer is a former hedge fund manager and Wall Street legend whose Twitter feed is packed with valuable information for stock traders. Cramer also hosts Mad Money on CNBC and blogs on RealMoney.com. Based in Singapore, Rayner Teo’s feed is full of amazing content that helps swing and position traders learn how to identify and trade massive bull and bear trends. He posts daily to his 41 thousand followers and also covers other trading topics relevant to retail traders.